Think for a moment about how long ago that is. Forty thousand years. It takes my breath away. I’ve been fascinated by rock art for many years and have been fortunate to see examples in South Africa, Namibia, Australia, Chile and Peru. While the particulars of the paintings differ from country to country, the underlying impulse seems to be the same: a need to put a human mark on the world we live in. 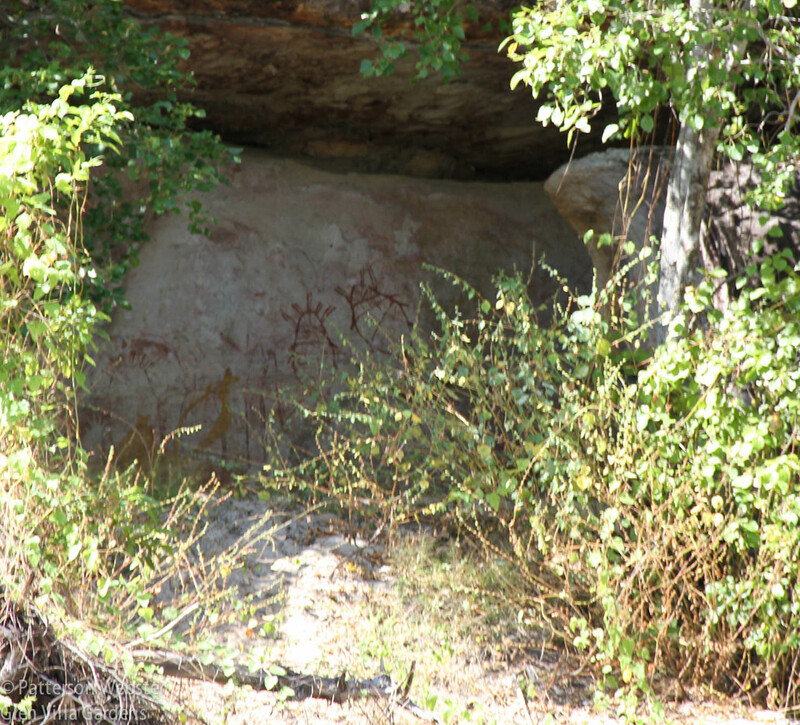 For rock art to survive over the centuries, it needs to be located in caves or other sheltered places like this overhang. 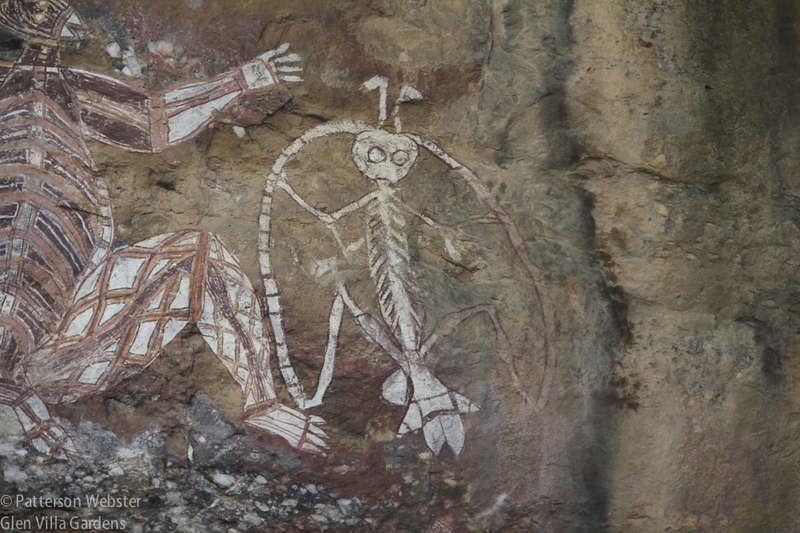 In Australia, aboriginal art of all kinds is an expression of cultural identity and connection to country. 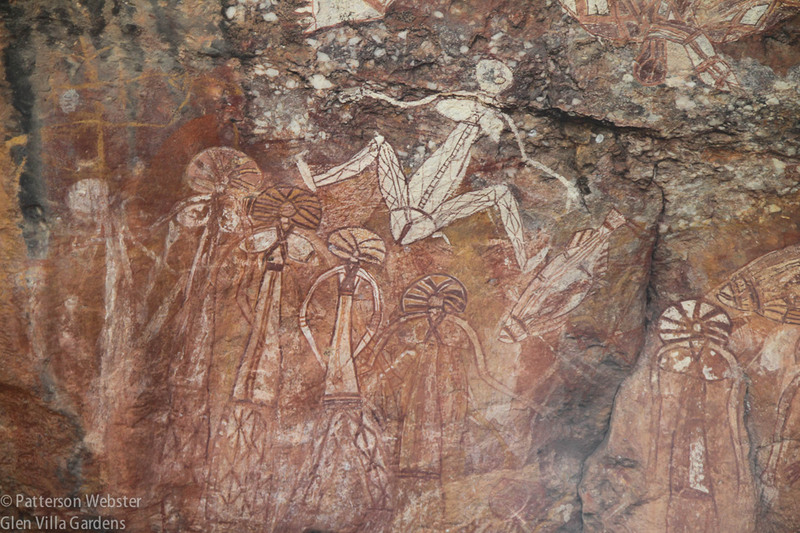 The act of painting is generally more important than the painting itself, so older rock paintings are often covered by more recent ones. 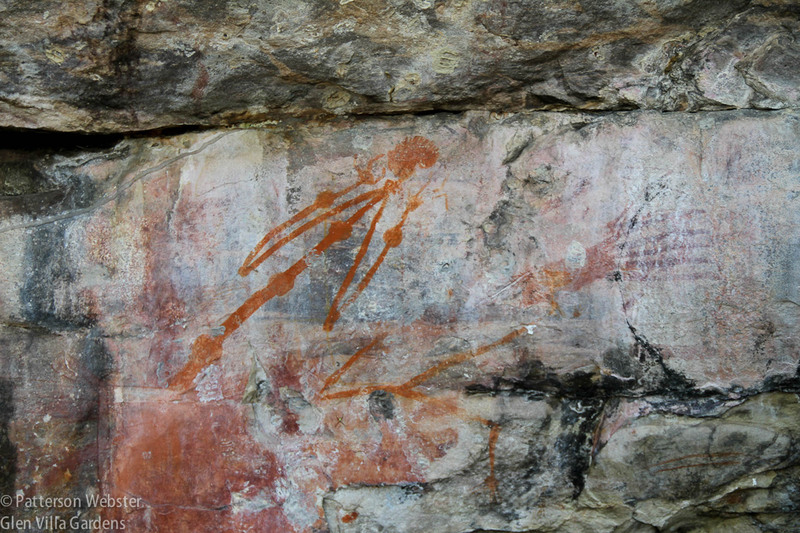 Various human or spirit-like figures overlap different types of fish in this painting from Kakadu National Park in Australia’s Northern Territory. Kakadu is a UNESCO World Heritage site. Scientists have established a chronology of paintings showing how they have changed over millennia. Stylistic differences in Kakadu reflect changes as the climate warmed after the Ice Age, gradually producing the shrubland typical of arid Australia today. Animals that are now extinct are shown in some paintings and humans are often depicted as simple stick figures. 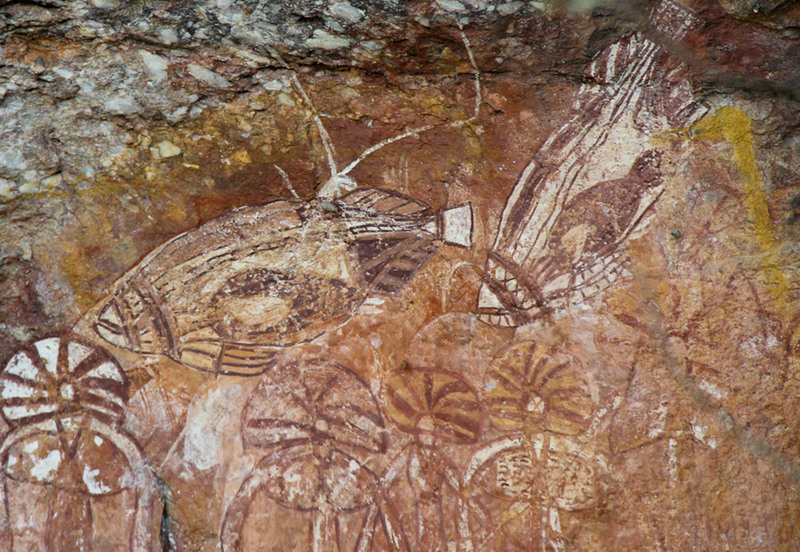 As the environment became more productive and more food resources were available, aboriginal populations and cultural diversity increased, resulting in a wider variety of painting styles. This painting shows various human or spirit figures along with a female figure who seems to be giving birth to the others. 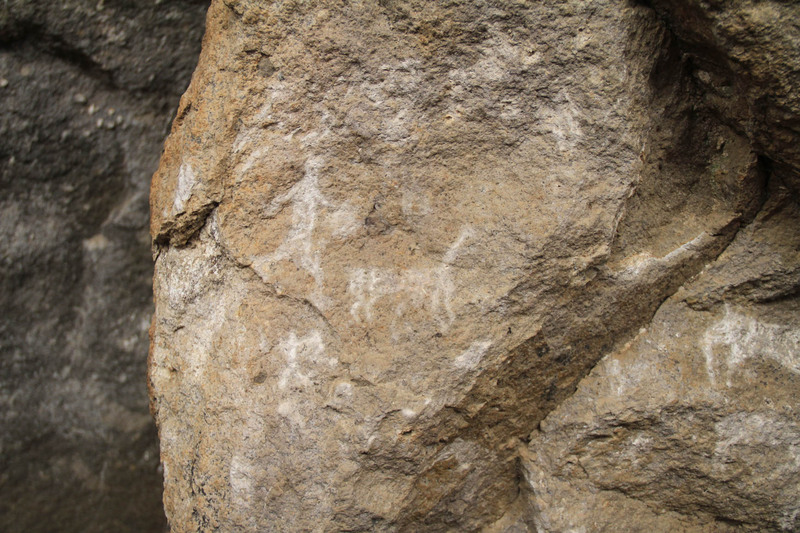 Paintings of animals and other food stuffs that populations depended on are found in rock art in every country where I’ve seen it. The paintings may document what existed at the time or may be a way to increase animal abundance, ensuring successful hunts. 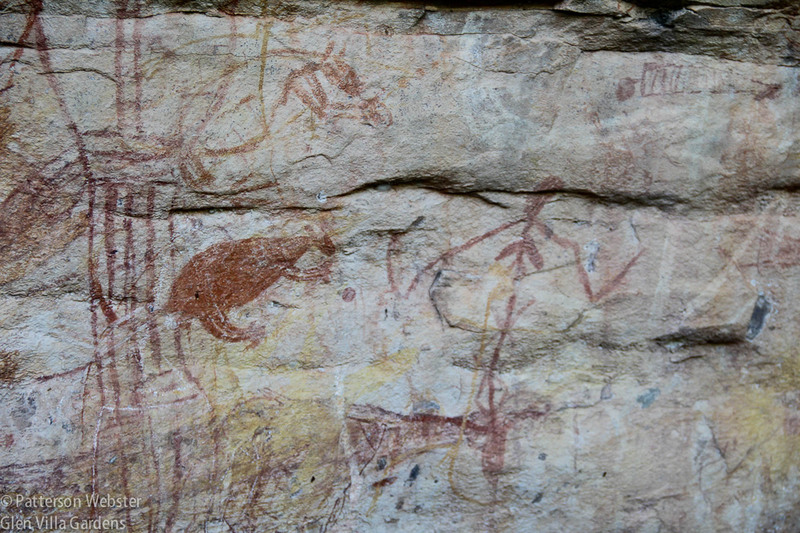 This painting from a remote site in Peru shows a man with a shield and the animal he may be hunting. To me it looks like a llama. 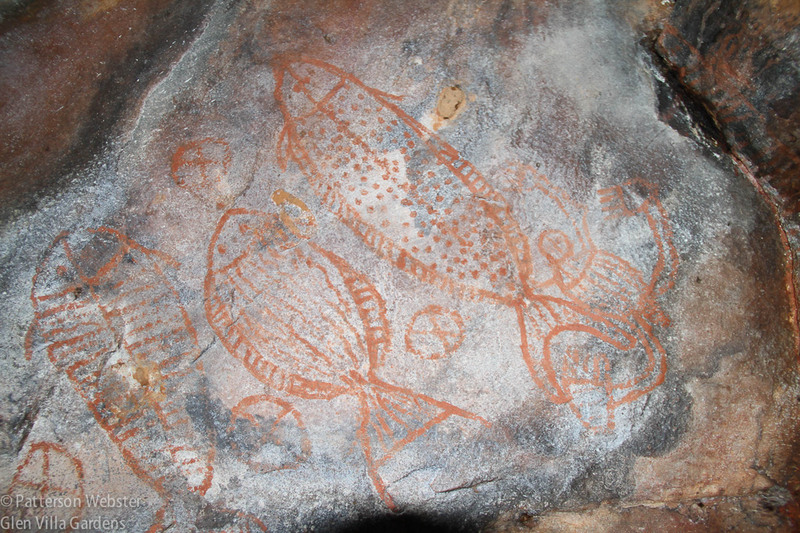 Fish were an important source of food in Australia’s Northern Territory, and paintings that date back 20,000 years or more show the variety that existed. This painting was made with a reddish iron oxide called haematite. 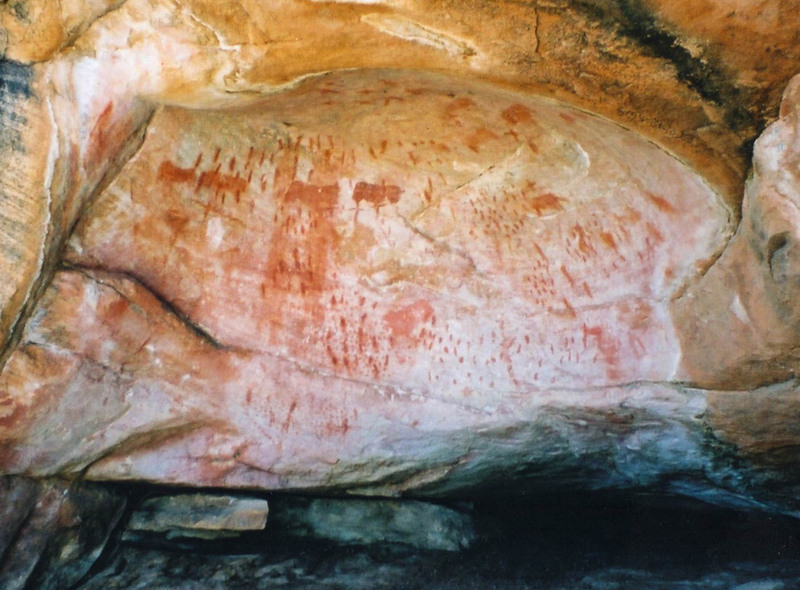 It lasts longer than other pigments used for Australian rock art, which is why the majority of old paintings seen today are red. Paintings depicted important events as well as sources of nourishment. 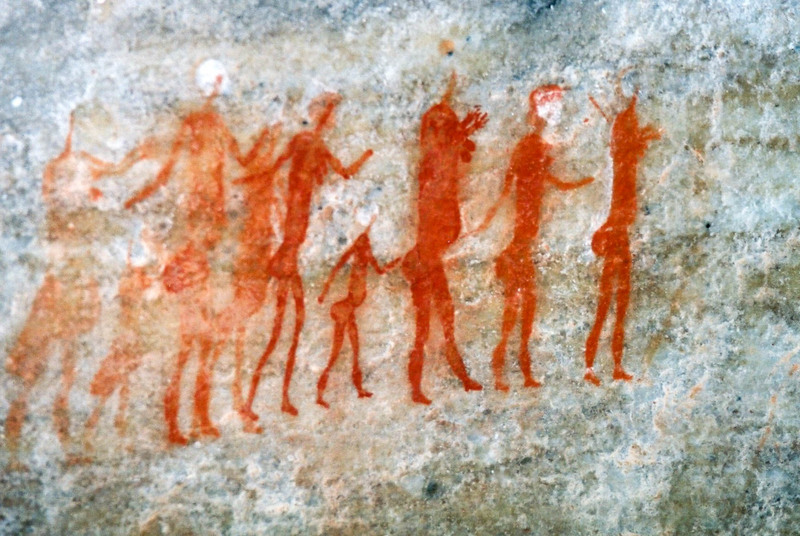 In South Africa, hidden in a crevice in the earth, a painting showed a procession of women along with one young girl. An initiation rite? Quite possibly. This painting was in a farmer’s field near Clanwilliam, about three hours northwest of Capetown, South Africa. More recent events are also shown. Sailing ships, men dressed in European clothes, a simple Dutch-style pipe and a man on horseback attest to the arrival of Europeans in Australia and elsewhere. 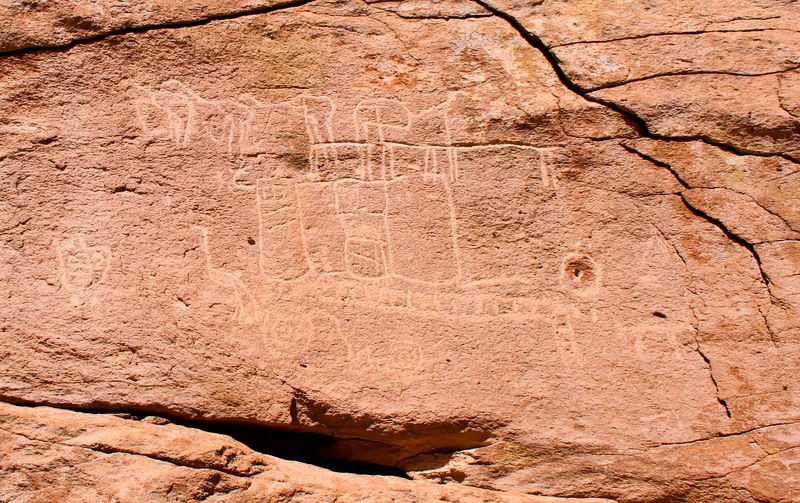 What could be a train is scratched into a stone wall in the Atacama desert in Chile. Note the wheel at the bottom left of the train and the ladder-like tracks underneath. The animals may be running away. The bones of this person are swollen by Miyamiya, a sickness contracted by disturbing sacred rocks in a nearby river. This skeleton figure is Namarrgon, the Lightning Man, a creation ancestor of the Bininj/Mungguy. They continue to tell their stories through painting done now mostly on bark, paper and canvas. 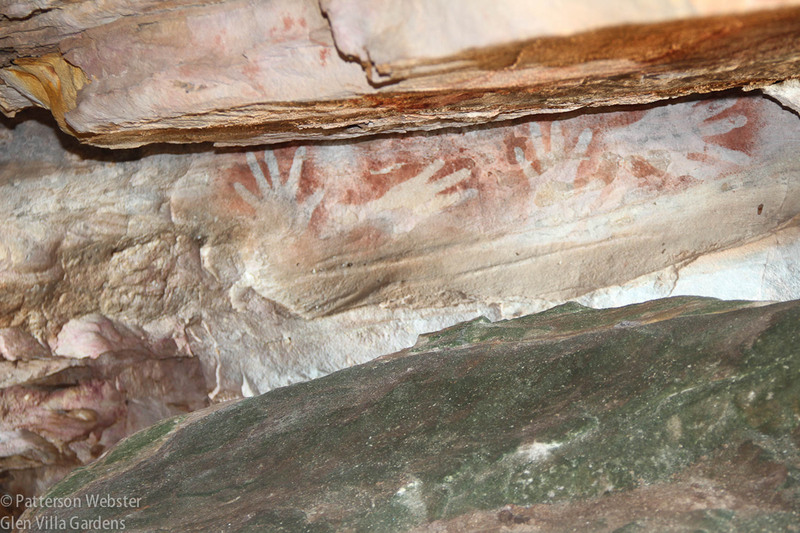 … the rock paintings are compelling. The images are both realistic and suggestive. They take into account the uneven surfaces of rocks and pay little or no attention to orientation based on western principles. 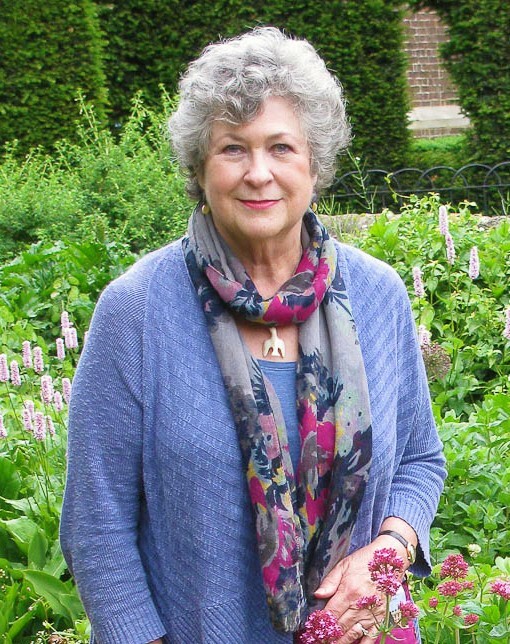 Whether shown up or down, the power and the authenticity are the same. 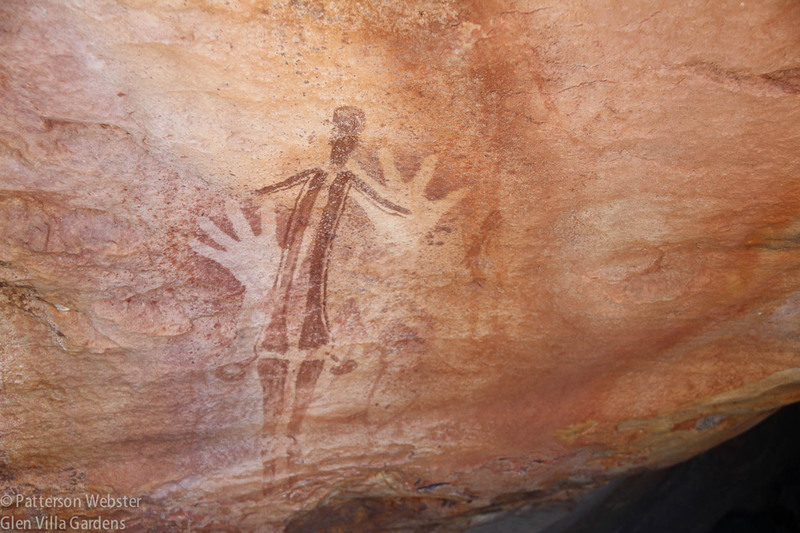 This spirit figure is from an overhang in the Kimberley district of Australia. Through western eyes I see a horseshoe and a halo or arms held overhead. One element is common to rock art in all the countries where I’ve seen it. Hand prints. A simple stick figure is surrounded by hand stencils. I don’t know if the spacing is significant but the hands seem to be holding the figure in place, almost embracing it. However presented, hand marks attest to a human presence and to a need to make that presence visible. 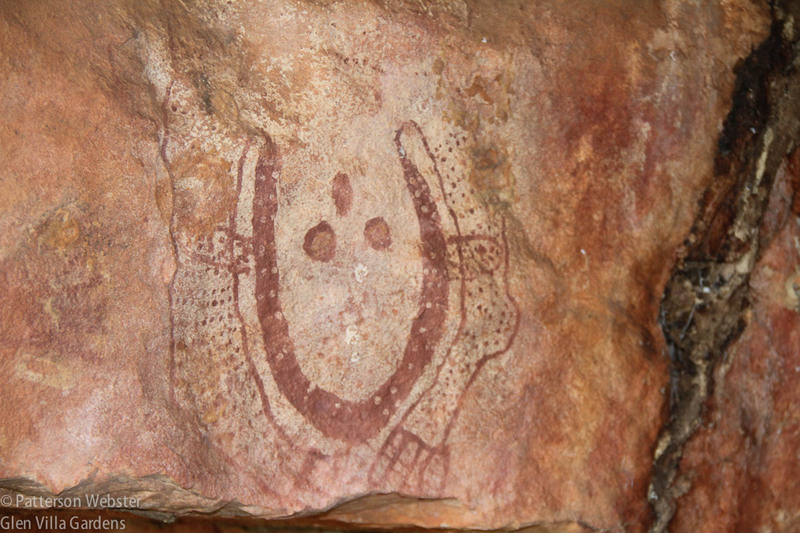 Finger dots instead of hand stencils are found in some rock art sites in South Africa, including this one near Clanwilliam. Forty thousand years ago, humans around the world were marking their place in the world. Cave paintings in Europe, France and Spain in particular, date from roughly the same period as the recently dated paintings in Borneo, give or take several thousands of years. The fact that these paintings have existed in so many places for so long underlines how important it is, and has always been, for us to depict our surroundings and the way we live. The outline of hands was made by blowing pigment through a reed or similar instrument. We continue to do this, too often in ways that are neither artistically nor environmentally positive. Perhaps we should pay attention to how our ancestors imprinted themselves on the world and follow their lead.